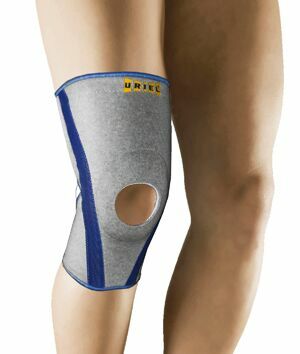 422N Genusil Knee SleeveThe Knee Brace is ideal for supporting the knee and relieving pressure over the patella. Opening slit at the back of the knee joint and patella opening for increased comfort while bending the leg. Recommended for the management of knee pain and discomfort, Osteoarthritis, Arthritis, Chondromalacia, anterior knee pain, knee instability due to general muscular imbalance, Osgood-Schlatter's disease and Jumper's Knee .